PLAYERS TO WATCH: Natchitoches Central — QB Austin Guy, WR Brandon Rachal. 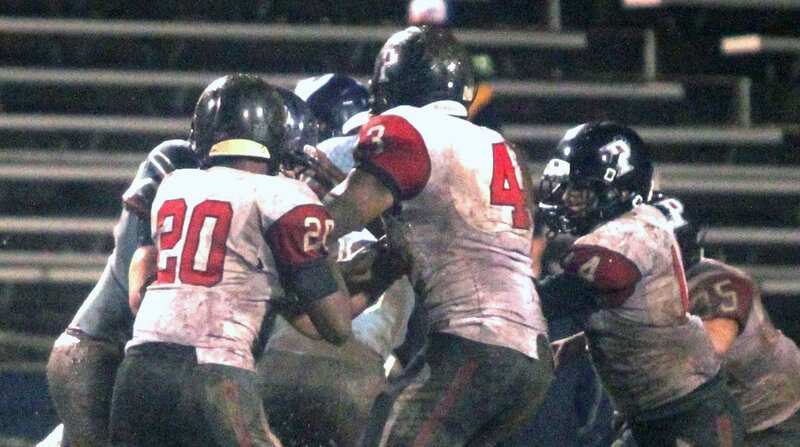 Parkway — RB CJ Morgan, DB Lloyd Cole. PLAYERS TO WATCH: Ponchatoula — DB David Nichols, RB Joquan Johnson. Airline — RB Shun’Cee Thomas, DB Xavier Johnson. BARBE NOTES: Bucs finished runner-up in 3-5A behind two-time defending state champion Acadiana … Barbe had open date last week … Bucs enter playoffs on five-game winning streak … Barbe averaged 42.1 points in final six games. PLAYERS TO WATCH: Haughton — QB Darius Brooks, WR Antonio Woodfork. Barbe — QB Gavin Nettles, RB/R Kirkland Banks. BENTON NOTES: District 1-4A champion Tigers enter playoffs on eight-game winning streak … Benton averaging 39.1 points per game and allowing 24.2 … Sophomore RB Jermaine Newton rushed for more than 800 yards in seven district games. PLAYERS TO WATCH: Fair Park — RB Robert Rochell, RB Cedric Pehl. Benton — QB Garrett Hable, DL Chauncey Taylor. PLAYERS TO WATCH: Plain Dealing — Keldrick Carper, QB Thomas Gay. Oberlin — L Tucker Fontenot, TE Dane Clark.